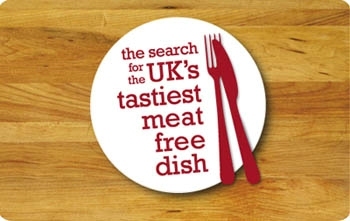 17 March 2011: Linda McCartney Foods has announced the three finalists in the UK’s Tastiest Meat-Free Dish competition. Kate Ford from Hertfordshire, Susan Edwards from Shropshire and Robert Stordy of Derbyshire were chosen for their creative and original dishes, all deemed delicious for both vegetarians and non-vegetarians. Kate created a hearty mushroom, ale and puy lentil pie, Susan a “butternut squash and spinach lasagne’ and Robert a vegetarian moussaka. The meals were chosen by a panel hosted by Mary McCartney and selected by the McCartney family. They included celebrity chef Aldo Zilli, Green & Blacks co-founder Josephine Fairley, Celebrity MasterChef’s 2008 winner 2008 Liz McClarnon, Alex Connell of the Vegetarian Society’s Cordon Vert School and Alison Atkin of Sainsbury’s. Following the success of the Meat Free Monday campaign, in November last year Linda McCartney Foods called on all budding chefs to submit their tastiest vegetarian recipes. The panel chose from hundreds of entries, and chose the finalists following a tasting session on 10 February. Each won a Baumatic oven and will be the subject of three mini-documentaries to be aired on ITV’s This Morning from 4-11 April, showing them creating their dish in their own kitchens. 7 February 2011: Paul has invited you all to get creative in the kitchen and send in your idea for the chance to win the amazing opportunity to see your recipe turned into a Linda McCartney product with your photo on the pack! In his quest to make meat-free eating as easy – and tasty – as possible, Paul recently visited the Linda McCartney Foods factory at Fakenham in Norfolk, where new recipes are being explored and developed. Paul, Mary and Stella’s Meat Free Monday campaign encourages people to have one meat-free day a week, and the key to tempting people into giving meat a miss is offering delicious, healthy alternatives that are quick and easy to prepare. For some, meat-free cooking is a bit of a mystery, with a common misconception being that it’s complicated and expensive – but that doesn’t have to be the case. It’s easy to swap veggie mince for meatie mince and make a delicious Spaghetti Bolognese, and beans on toast is a good example of one of our nation’s favourite snacks that’s cheap, healthy, tasty – and meat-free! The Linda McCartney range offers simple meat-free meal solutions and to keep the range fresh and exciting, Paul wants to hear from you. Linda McCartney Foods recently launched the Kitchen Table competition, inviting members of the public to send in their favourite meat-free recipes. The competition is well under way and each week, a top 10 is picked highlighting the best recipes submitted that week, with comments from people who have tried them out. There’s a vast selection spanning many different styles from Italian to Greek to curries and stews. Why not check out the weekly top picks and choose one to rustle up for dinner on Monday? In the closing stage of the competition, three dishes will be picked and presented to a panel of judges, who will choose the ultimate winner, with a fantastic, once-in-a-lifetime prize: the winning dish will be added to the Linda McCartney range. According to Paul, if all three are delicious, there is a chance they may all be added to the range…. so get cooking and get clicking on the Kitchen Table website and share your meat-free recipe now. All entries are in now and the three finalists will be announced at Monday February 14th 2011. Later this year, in April, it’s voting time to choose the winner.